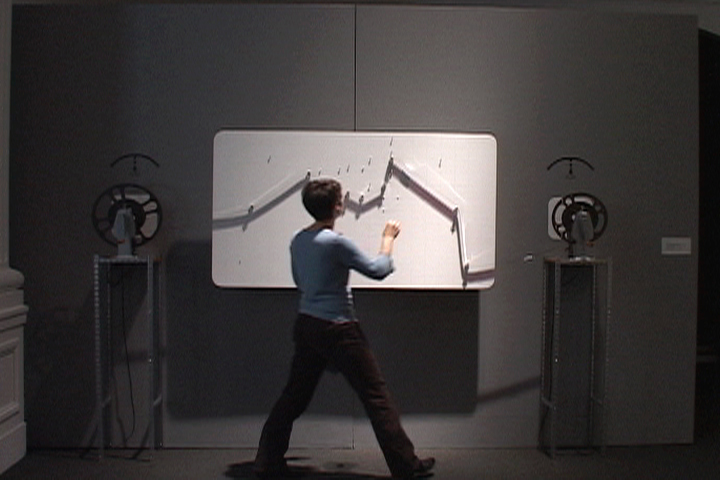 Last Machine, 2005, Interactive installation with 16mm film, reels, rewinds, transports, strobes, touch sensor, steel, and wood. Cinema is the Last Machine. It is probably the last art that will reach the mind through the senses. A response and consideration about the act of making and the materiality and mechanics of film, the feel of the plastic versus the sense and gratification one gets from seeing a discreet image. 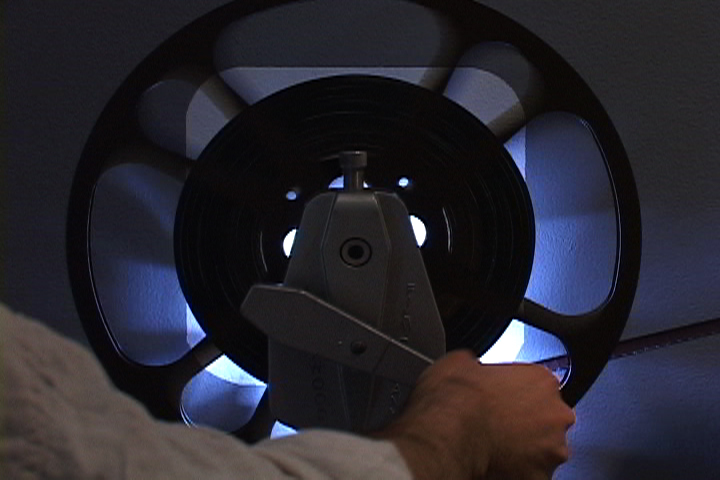 Interactive installation with 16mm film, reels, rewinds, transports, strobes, touch sensor, steel, and wood. 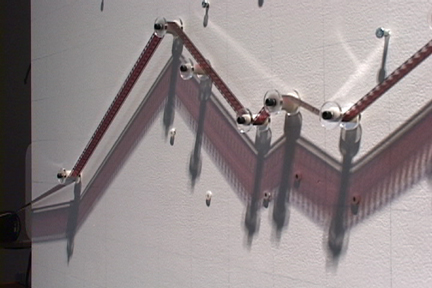 Dimensions variable.